A technology driven company, ATP continues to focus on a targeted product portfolio and offers unique technologies. We are ready to assist you with any inquiries you may have. Please choose what type of support or information you need. We have been transforming the industrial and enterprise computing landscape with our high-performance and high-endurance NAND flash storage products and DRAM memory modules. Uncompromising Reliability and Endurance for the Most Demanding Industrial Applications. Automotive applications need robust memory and storage solutions that can hurdle rigorous environmental, power and thermal challenges to ensure safer and more comfortable driving. Whether your data goes to the cloud or stays at the edge, huge amounts of information will entail massive data collection, storage, processing and analysis for billions of connected devices. Non-stop, high-speed data transmission and diverse workloads in networking and telecommunication applications require fast, reliable, high-capacity and scalable solutions. Memory and storage solutions for industrial/embedded systems installed in constrained spaces should be compact, power-efficient and able to operate continuously in harsh environments. Choosing the right storage device that can meet the current as well as future requirements of the exacting health care industry is truly life-changing. Today's workplace is defying geographical and time boundaries.Though it comes with its own share of risks and challenges, enterprise mobility can bring about greater efficiency and productivity with the right partner. 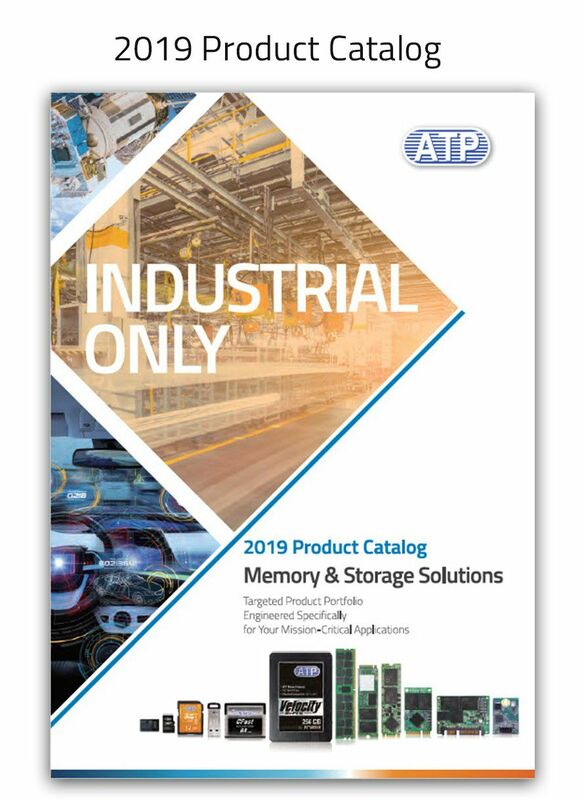 Copyright © 2019 ATP Electronics,Inc.